Frequently the environmental assessments submitted to the British Columbia Environmental Assessment Office are bereft of any concern or serious consideration of toxicological issues that may arise from the proposed development. This is certainly the case for the assessments that EcoGen has been asked to critique by potentially impacted clients. The Terms of Reference for these assessments conveniently ignore the most basic ecotoxicology issues even if they have been proposed by the potentially affected parties during the consultation stage. Thus these projects leave themselves open to litigation even if the Environmental Assessment Permit is granted. 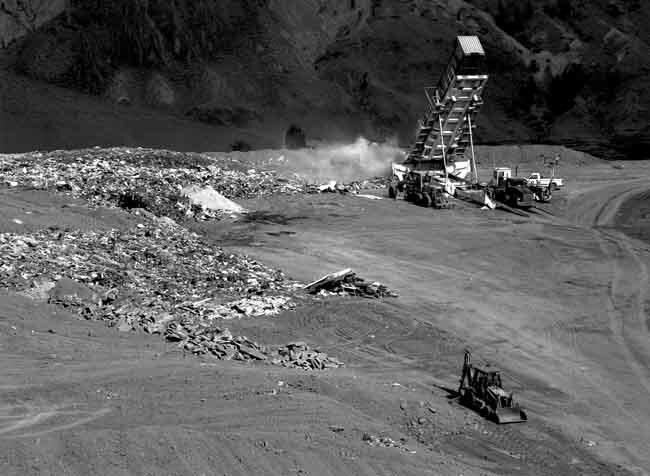 EcoGen has been involved in assessing the environmental technologies used in three major landfill proposals (The Ashcroft Ranch, Highland Valley Coppermine Landfill, and the Cache Creek Extension) and employed additional world class technical expertise as necessary. There were significant concerns raised in all of them. Only the Cache Creek Extension is still an active proposal. the others have been discontinued largely through objections raised by my client, the Nlaka'pamux Nation Tribal Council (NNTC). The Cache Creek Extension has tried to avoid consultation with the NNTC because of the latter's track record of success in preventing unsuitable polluting industries from establishing themselves within their traditional territory. EcoGen has actively filled out research proposals on behalf of its clients and has recently been successful in obtaining a $250,000 research grant for investigating the environmental effects of the Chaumox and Cache Creek Landfills. EcoGen undertook a program of groundwater and surface water sampling and analysis and retained expertise where required (i.e. hydrogeology) for data interpretation. EcoGen also carried out a fish sampling and analysis program and analysed fresh road killed coyotes. Air was also sampled for volatile and semivolatile contaminants both upwind and downwind of the landfills. The results will be released soon.